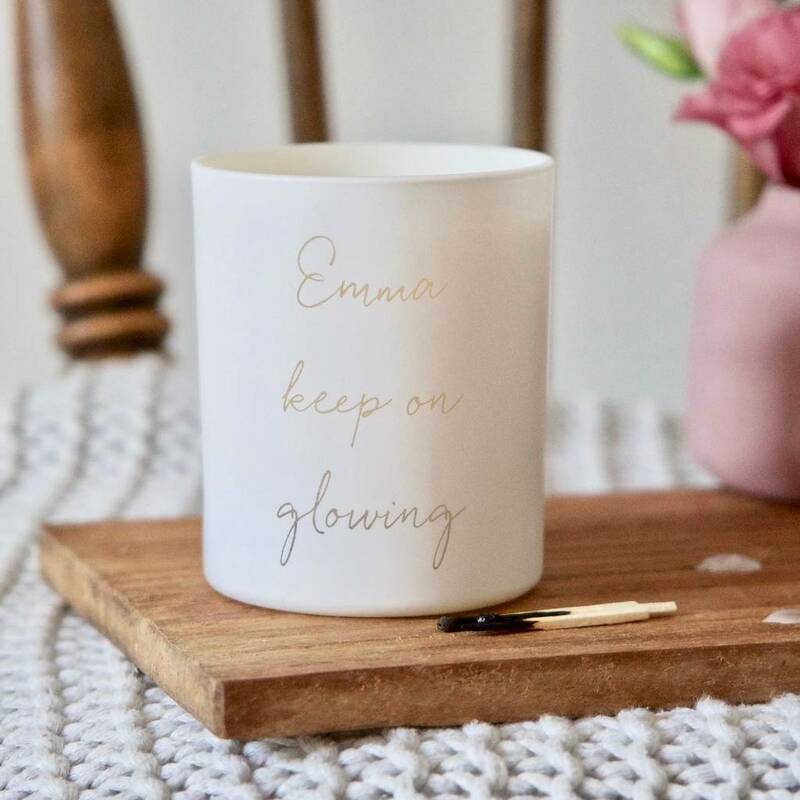 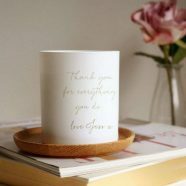 Engraved with the sentiment ‘Keep on glowing’ and personalised with the name of your choice, the words are softly illuminated by candlelight when lit. 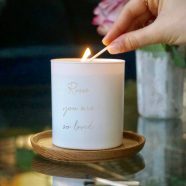 Each candle vessel is individually etched and filled with 100% plant based wax for a longer and cleaner burn so no nasty black smoke. 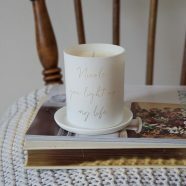 Your message will be softly illuminated by candlelight when your candle is lit. They make lovely keepsakes too. 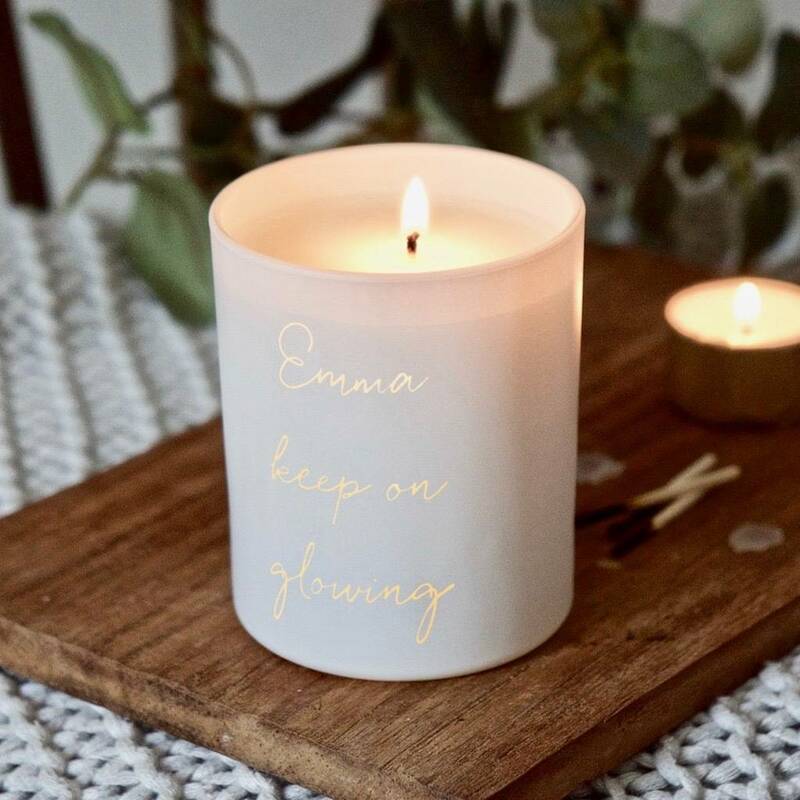 Once your candle has burnt down you can simply place a tea light or flowers in the glass jar and continue to enjoy your chosen sentiment. 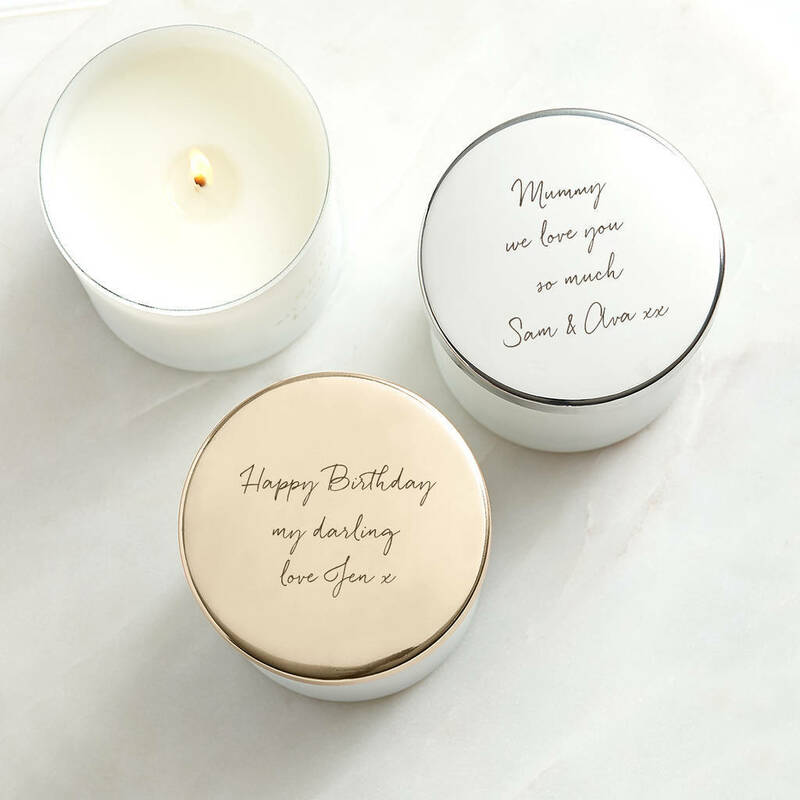 A truly special present for an important person in your life; the perfect way to remind a friend that they are loved. 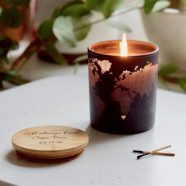 Burn time: approximately 40 hours.